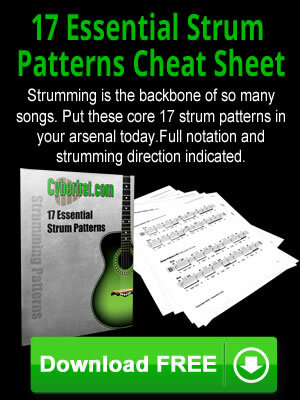 The online guitar lessons on Cyberfret.com is paid for by subscription fees, advertising revenue and commissions paid on the sale of various products. Some articles and product reviews on the site contain links that if a product is purchased through, Cyberfret.com receives a commission. We are not paid to write reviews, and the content reflects our honest opinion about the value of the product. Sometimes the products that are reviewed have been supplied by the manufacturer, and are not returned after the review. The merchants that I am affiliated with and may receive commissions from sales include. If you have any other questions about our affiliate relationships or the site, feel free to contact us.